Enter the world of Ninjago and join the courageous Ninjas Kai, Nya and friends on a mission to protect Bandit, a YinYang Dragon who will one day fully grow into a powerful Light Dragon. The evil Clouse and his Shadow Minions want to steal it and plunge Ninjago into the Realm of Shadows. Will they succeed? 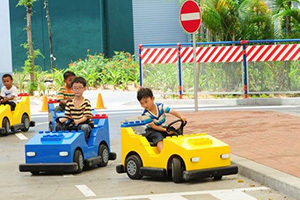 Be one of the first in the world to find out at the fully air-conditioned LEGO City Stage! This new live performance will immediately takes audiences on a thrilling journey into the LEGO Ninjago universe. With a combination of theatrical immersion, interactivity and high-tech special effects audiences will genuinely feel they are in the world of LEGO Ninjago. The Ninjago characters, elements, weaponry and the temple will all come to life in a sensory immersive experience. Welcome to a wonderful world where the fun is build! 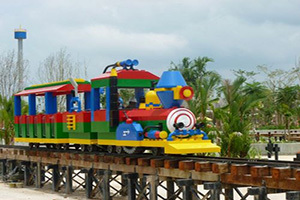 For kids and families, LEGOLAND® Malaysia is the most joyful place on earth. 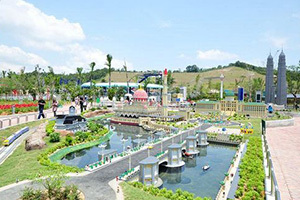 The 6th LEGOLAND® Park to be built in the world and the very first in Asia, its the ultimate place to push the boundaries of your imagination. Enjoy the thrills and spills of LEGO® experiences in a magical, fantastical park where everyone in the family become a hero! 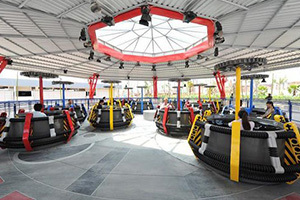 Featuring 7 themed areas with more than 40 interactive rides, shows and attractions, you can drive, fly, build and climb your way through 76 acres of adventure! 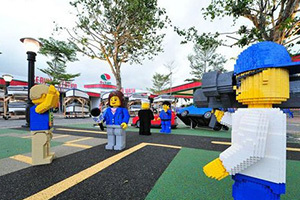 Its non-stop fun with heart pumping acting to live stunts and huge LEGO® Models Spectacular! 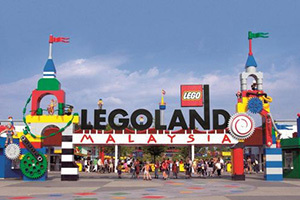 Located in Nusajaya, Johor, LEGOLAND® Malaysia is operated by Merlin Entertainments Group, the worlds 2nd largest visitor attraction operator. Strictly No Cancellation or Amendment once booking is confirmed.